"Apprenticeships teach skills needed to bridge this skills gap. 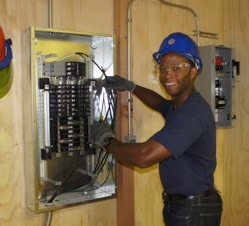 An apprenticeship combines a paid work component with an educational component. Apprentices earn while they learn, and in the process, they largely avoid the substantial student debt that you see with higher education today." As you know by now, the president will be making an important announcement regarding apprenticeships this week. He'll be visiting the Department of Labor�on Wednesday. And this is particularly important for those students who learn better by doing. President Trump has seen firsthand the success of apprenticeship programs in the building trades where he's very familiar. The building trades invest nearly a billion a year of private money into the apprenticeship program. President Trump has made clear his commitment to expand job opportunities here in America. Apprenticeships�are�one very important way that President Trump will fulfill that promise. Click here to watch a video wherein Acosta took questions from the press.